Does Lee & Low only publish books by people of color? No! Anyone can submit a manuscript to us through our general submissions. We make a special effort to work with writers and artists of color because they are still underrepresented, but we recognize that quality work is not dependent on an author’s ethnicity. For a good discussion about writing cross-culturally, see this post by Tu Books Editorial Director Stacy Whitman. I am a self-published author. May I still submit to the New Voices Award? No. Self-published children’s authors are welcome to submit through our general submissions, but only authors who have not been published before, either traditionally or through self-publishing, are eligible for this award. Do I need to find an illustrator to go with my manuscript? No. In fact, you should not submit your manuscript with any illustrations. The New Voices Award is for text only – if a book wins, an illustrator will be chosen and paired with the manuscript at a later point. Do I need an agent to submit my manuscript? No. In fact, only submissions from writers without agents are considered for the award. The New Voices Award is for unpublished children’s book writers who are trying to break into publishing. How do I contact an Editor with my question? Most answers about the contest can be found by thoroughly reading the contest guidelines. Please refer to the New Voices Award guidelines for complete information about the award, submission qualifications, and how to submit your manuscript. Can I receive confirmation my submission has been received by Lee & Low Books? If you wish to receive confirmation that we received your submission, please send it via a service (such as FedEx) that provides you with a tracking number or mail it with a US postal service return receipt attached. Both these provide you with a way of checking on the delivery of your submission. For what kind of manuscripts are you looking? Please refer to the Submissions section of our New Voices Award page for information regarding our manuscript interests. I’m a citizen of a Native sovereign nation, not of the US. May I submit to the New Voices Award? But I write for older readers. Is there a contest for me? Yes! Our annual New Visions Award is for middle grade and YA manuscripts. See the submission guidelines. More questions? Leave ’em in the comments and we’ll try to answer them. And if you are submitting to the New Voices Award this year, best of luck and we look forward to receiving your submissions! Elie—No. The award is specifically for picture book manuscripts—that is, the text of a picture book. If you are also an illustrator, you may mention that in your cover letter. There’s more about the relationship between author, illustrator, and editor on our children’s book publishing trivia page. Is the 1,500 word limit a suggestion or a requirement? If my story had a little over 1,500 words, would it be disqualified? Thank you for your time. Yes, the 1,500 word limit is a requirement since it’s a standard picture book. Looking forward to your submission! I am still working on Manuscript. This is my first try at writing a children’s book. Is 1500 word the complete book? that is do I have to stay with that framework. Also Can I submitted a work in progress for consideration? I have been working with a illustrator that I would like to stay with does this present a problem with your firm business model? Thank you, Hannah. If I were make references to names of people in a Chinese family (for example: mei mei, which means sister in Chinese, or ni ni, which means Grandma) would these two syllabic sounds count as one word because they are referencing one person? Yes, you can count them as one word. Thanks so much for responding to my questions. Another one– do you want us to head our manuscript or format the first page in any particular way? For standard industry submissions, I understand we’re supposed to start the story half way down the page with our address and page count on the first page. But since our address and page count will be on the cover sheet anyway, perhaps it’s not necessary to include this in the actual manuscript of the story? Should the story just begin on the top of the page? It’s not a problem either way, but you can’t go wrong with industry standard. I have submitted a story called “Little Yelli,” to Lee & Low general submissions on July 2nd. Only today I learned about this award and would like to participate. The manuscript that you’ve already submitted to us is not eligible for the New Voices contest, but you’re welcome to submit a different manuscript. Let me know if you have any other questions! I have an eBook published, does that disqualify me? I am still trying to break into the traditional picture book market. You may submit a different manuscript to the contest, just not the one that has been published as an ebook. If I have my first children’s book published this year through another publisher, but want to submit a different manuscript for the new voices award, am I eligible? Congratulations on having a book about to be published! Unfortunately if you already have a book slated for publication this year, you are no longer eligible for the New Voices Award. You are welcome to submit through our regular submission process though. Regarding the US residency requirement, does that mean that an American citizen of color living abroad is not eligible to submit? Many thanks! The guidelines ask for authors to be residents of the US, because when an author is located abroad it has implications for book promotion. However, an American citizen currently living abroad who will be back by the end of the year may submit. Let me know if you have any further questions! No, there is no age limit for the contest. I have an author’s note at the end of my manuscript for cultural references (Native American). Does the 1500 word limit include the author’s note? The 1500 word limit does not apply to the author’s note. To whom should we address our cover letter? “Dear Editor” seems wrong. Thank you! “Dear Editor” is just fine. Thanks for checking! For the New Voices contest, we are looking for realistic fiction, nonfiction, and poetry submissions. If a bit of folklore is woven into a story that is otherwise realistic fiction, then that would be acceptable. From our published books, HOT, HOT ROTI is an example of this. Folklore is a story that represents an idea or stories that are not true but that many people have heard or read; the idea or stories reflect traditional customs, beliefs, stories, and sayings. Animal stories have animals (talking or not) as the main protagonist. 1. Does 1500 word count include title? 2. Is a non-English word (written in Spanish, Chinese or other language) acceptable in title? 3. Is there a word-count limit for author’s notes? 1) The 1500 word limit does not include title. 2) Non-Engish words are acceptable in a title, but the word should be easily readable/pronounceable by English readers. 3) There is not a hard-fast word limit for an afterword, although we suggest that you don’t exceed 600 words for an afterword/author’s note. Hello – A question on 2015 sumissions: The guidelines say we must not have previously published a PB. But what about other genre’s? I published a NF middle grade book some years back. Am I eligible? Thanks. Hi, I have the same question (or similar) as Rae: I have self-published adult work, and have a self-published YA work (for ages 16+) forthcoming, etc. But I have never published or been published as a children’s author. Am I still eligible? Hello – would you accept a manuscript from an author who is Canadian by citizenship, residing in the US for work (on a valid school/work visa)? I’m Rosa. I am half Jamaican and half Caucasian. Can I still enter in the New Voices Award even if I am not 100% Jamaican? Hello- The guidelines say that previously submitted manuscripts can not be re-submitted. I have a story I submitted for last year’s New Voices Award that I have re-worked. May I submit an updated version of my story for the 2015 awards? Thank you. What format should the manuscript be in? I made dummy picture book on Word with no illustrations (text only)? Is this unacceptable? Also, I am an Artist/Illustrator as well. I did a painting that inspired the story I am submitting for the contest. Can I include it in the cover letter? Generally, when are winners announced? Is this years contest over? No, it’s open through September 30, 2016! Hello, hello, hello! Last year, I submitted a story for the New Voices contest with an SASE to be notified in writing of your decision by January 31st. I moved this summer and realized that the SASE was addressed for my previous place. I’m wondering if there is still a way for me to be notified of your decision. No worries if there is not. Thanks for taking the time to read and respond! Hi Yia! Unfortunately, we’ve already sent our responses to all entrants of this year’s New Voices award. When will the 2017 New Voices Award start? It opens May 1, 2017. Thanks for checking! If my manuscript is submitted to the contest, will there be a chance for publication if the manuscript is not one of the two selected as winners for the contest? Hi Naydham! If your manuscript is not chosen as one of the winners, there is still a chance that one of our editors may be interested in working with you to develop it for acquisition. So the answer is yes, though it is not guaranteed. I had submitted a ms for this award back in 2013. Recently, I won a WNDB mentorship with Jane Yolen and with her help, we completely revised the story so that it is no longer anything like the previous version even though the subject matter remains the same. Your rule #4 says, “Manuscripts previously submitted for this award or to LEE & LOW BOOKS will not be considered.” But would it be eligible if it is completely rewritten (either for the New Voices award or the LEE & LOW in general)? If I am published as an illustrator for another’s self-published book, am I eligible to enter the contest as a writer? My husband and I want to submit our manuscript. He is African American and I am Caucasian. Since I am not a person of color, would this be a violation of the rules? Or would it be okay to submit because my husband is African American? Thank you. Hi Bethany! Yes, you and your husband can submit your manuscript to the New Voices Award as long as the story is from an Own Voices perspective. Hello. I was trying to find more information about the Award for this contest (2107); particularly the standard publication contract including advances and royalties. I’m having a hard time finding information on the website. Forgive me if I overlooked it. Can someone point me in the right direction? Please and thank you! …also, can I submit work that is not published but already copyrighted? Thank you for your inquiry! Unfortunately, we do not share the specific terms of our contracts with entrants. Regarding your question re: copyright – yes, you can submit the manuscript even if it’s been copyrighted. We appreciate your interest in Lee & Low Books and hope you will participate in this year’s New Voices Award! Hi, the submission guidelines state that the manuscript can’t be out for consideration to other publishers. Can it be submitted to agents? Thanks! Hi Lily! Thank you for your inquiry regarding the New Voices Award. As stated in our contest guidelines, manuscripts under consideration with other publishers, agents, mentorship contests, writing contests, or Lee & Low’s general submissions may not be submitted for this award. If I submitted a manuscript in 2016 but have significantly revised it, is it still ineligible for the contest? Yes, if you already submitted a manuscript once, you may not resubmit it to our New Voices Award. However you can still submit it to our general submissions. Hi, I was wondering if it’s preferred that we briefly introduce the contents of the story in the cover letter or if it’s better to omit information beyond the title entirely. Thanks for the clarification. Yes, it’s a good idea to briefly introduce the story in your cover letter. Hello, I see in the guidelines that stories with “anthropomorphic” characters will not be considered. I just want to clarify that if my human character dialogues with animals, this would make my submission ineligible. Are there any contests that my submission would be considered for a brand new writer? Hi Jasmine, Thank you for your New Voices Award inquiry. If the animals in your story have conversations with human characters, then they are anthropomorphic which makes the submission ineligible for the award. We appreciate your interest in Lee & Low Books and wish you good luck on your writing journey! Can you please let me know to whom I should address my cover letter? Is “Dear Writing Contest Judges” adequate, or would you recommend something else? Thank you in advance for your help, and hope your day is going well. Hi Stephanie, “Dear Editors” works fine. Thanks for checking! I was just wondering how will the winner be notified for the New Voices Award? Phone call, on your website or by mail? Thanks! We usually notify the winner by phone. Thanks for checking! I was just wondering if the 2017 winner was already notified? Thank you for your inquiry regarding the Lee & Low Books New Voices Award. The winner and honor of the contest were notified at the end of December 2017. We will make a public announcement naming the winner and honor on Wednesday, January 17th. You can look for our press release on our blog (blog.leeandlow.com) at that time. We appreciate your interest in Lee & Low Books and wish you the best of luck on your writing journey! When twill the winner of the new voice award or honor award be announced and will the other contestants be informed? The winner of the New Voices Award will be announced here on our blog in mid-January. Contestants will also be notified of the winner by mail if they included a self-addressed stamped envelope with their entry. Okay thank you for your response! 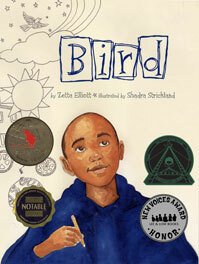 If you submitted your picture book manuscript for the New Voices Award and did not win. Is it possible to re-submit it through your normal submission? Also, for submission can we submit more than 1 picture book manuscript? Thank you for your inquiry. If you submitted a manuscript to the New Voices Award contest and it was not selected as a winner you may submit it to our general submissions. We recommend revising the manuscript first and making sure it’s as strong as possible before sending it in. You can find our complete General Submissions guidelines on our website, here. You may submit multiple manuscripts at one time. Hi again! Should the author’s note be double spaced too? Thanks again for answering! Thanks for your question! Since line breaks and spacing are instrumental parts of poetic storytelling, please break the lines and space them in a way that best suits the story. If you’d like, you can break them at the rhyming words. And, yes, please double space the Author’s Note. Good luck! Hi, I was wondering if the 2018 winners have already been notified. Hi Pooja! Award winners will be notified no later than December 31, 2018.